The sordid history of Mihin Lanka is well documented. In October 2016, it was announced that all flight operations would cease at the end of the month. 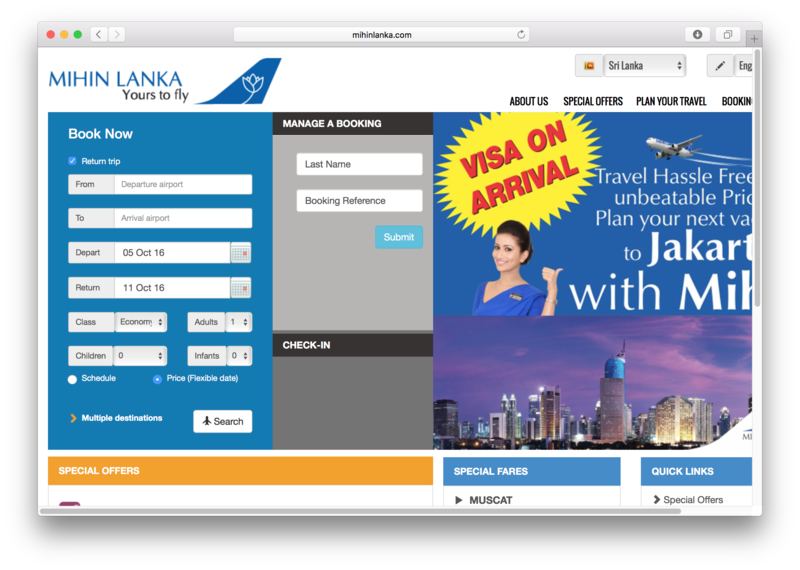 Mihin Lanka has decided to discontinue all flight and service operation from the 30th of October. Download an archive of the site taken on 4 October 2016. There’s a YouTube ad for Mihin Lanka on YouTube. Download it here.